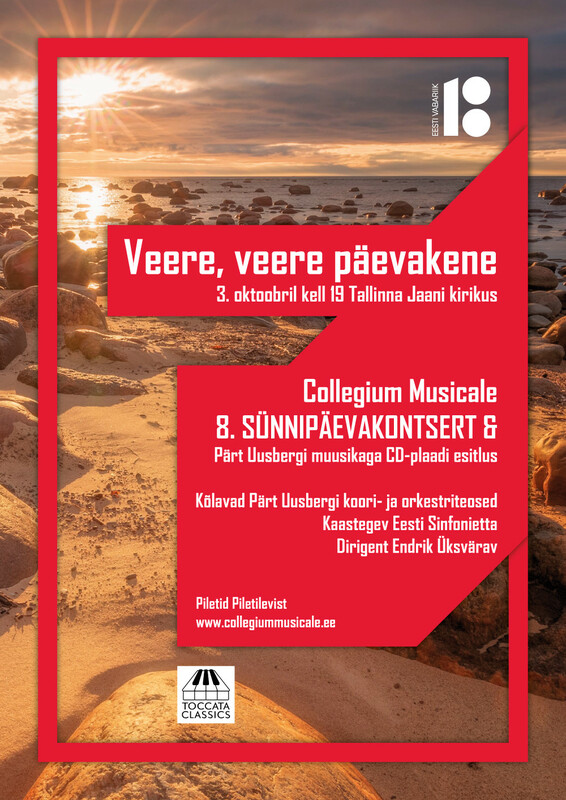 On the 3rd of October at 7 pm we will celebrate the Collegium Musicale 8th anniversary with the concert in Tallinn St John´s Church. Also, the choir´s CD with Pärt Uusberg´s choral music will be reelased by Toccata Classic (UK). In the anniversary concert we will sing Pärt Uusbergs choral music – 1st part a cappealla and 2nd part with the orchestra Estonian Sinfonietta. Concert will be conducted by Endrik Üksvärav.